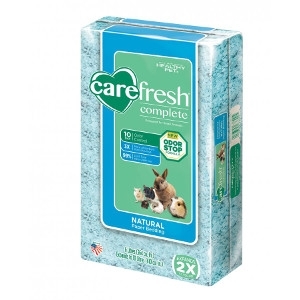 At carefresh® we’re devoted to small mammals, their human parents and the environment we all share. We only use fresh cuts of hay to provide ideal daily nutrition and also maintain ideal dental health. 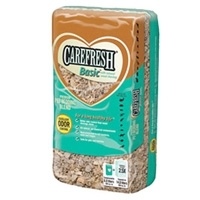 We could just use whatever is available, but then we wouldn’t be carefresh®. 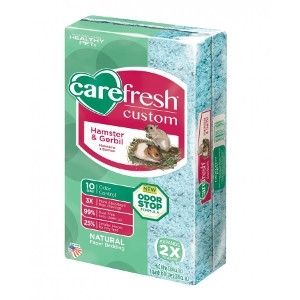 At carefresh® we're devoted to small mammals, their human parents and the environment we all share. 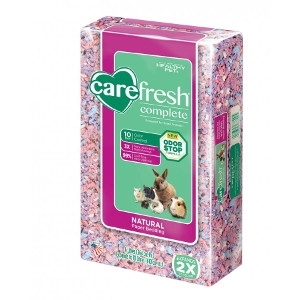 That's why we created carefresh® custom, the first bedding made specifically for the different small mammal species' unique needs. Our guinea pig and rabbit products are the perfect size for nesting, so they stay warm, dry and comfortable. 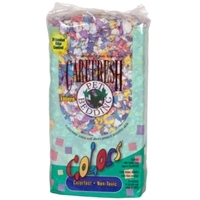 We could just shred plain paper, but then we wouldn't be carefresh®. 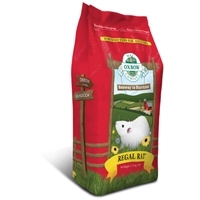 Oxbow Essentials - Adult Rat Food is a low-fat, nutritionally-balanced food that improves the quality of life for adult pet rats without causing life-threatening obesity. Oxbow's Essentials - Adult Guinea Pig Food is made from timothy grass meal, which includes the high fiber adult guinea pigs need. All rabbits need high fiber to keep their digestive systems working properly, plus basic vitamins and minerals to maximize their health. 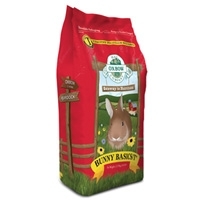 Essentials - Adult Rabbit Food combines needed fiber with stabilized nutrients to assure a well-balanced diet when served with Oxbow loose grass hays. 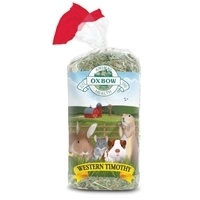 Oxbow Animal Health’s founder and owner John Miller created the industry’s first timothy hay-based food for rabbits and other small herbivores, the basis of Essentials - Adult Rabbit Food. 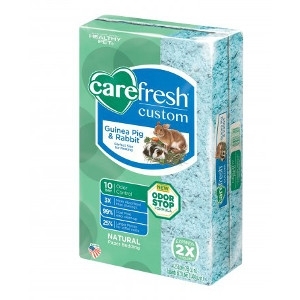 Alfalfa-based Essentials - Young Guinea Pig Food is specially designed to provide high fiber, protein, calcium and energy required for young guinea pigs to thrive. The optimized, balanced protein and stabilized vitamins also help nurture pregnant and lactating animals. 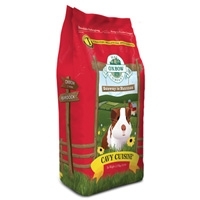 Serve Essentials - Young Guinea Pig Food with Oxbow grass hays and treats for complete nutrition. Like other herbivores, a chinchilla requires daily fiber to maintain a healthy digestive system. 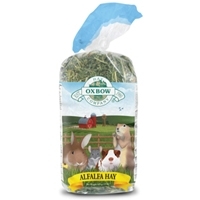 When served with Oxbow loose grass hays, the farm-fresh alfalfa in Essentials - Chinchilla Food provides the necessary fiber,balanced with a specially formulated blend of stabilized nutrients to meet the distinctive needs of this small animal species. 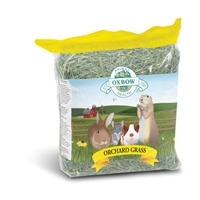 Animals love the sweet smell and taste of leafy Oxbow Orchard Grass Hay, and that makes it a good addition to an herbivore’s healthy meal plan. Festive color blend for the party animal! 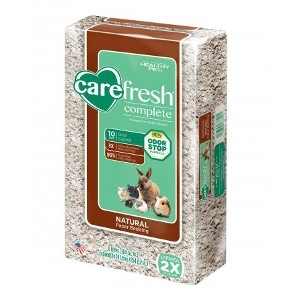 CareFresh Pet Bedding is made from reclaimed cellulose. It is biodegradable and flushable in small quantities. 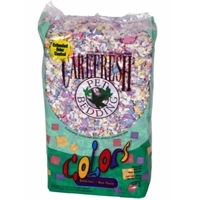 Promotes a more natural living environment than other bedding substrates! Patented formula ensures that it is free from pine & cedar oils, which may be harmful to small animals. 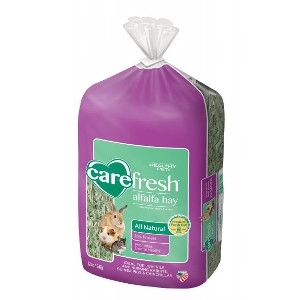 30 L bag of a blend of CareFRESH soft, natural fibers made from reclaimed cellulose. White color makes it easier to see and remove soiled areas. Safe and comfortable for all small pets.